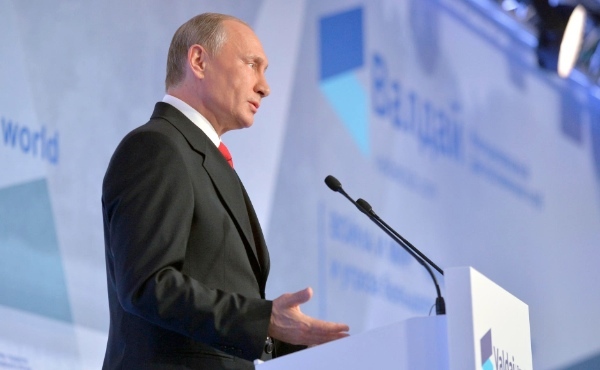 Russian President Vladimir has said that a global balance of power is a necessity to ensure security and stability around the world. During a meeting with Armed Forces commanders and defense industry executives on Tuesday, the Russian president lauded his country’s development of new weapons systems as deterrents. One such new program is the S-500 surface-to-air anti-missile system which builds on the success of the S-400 system currently in use. The new S-500 is designed to hit targets at super-high altitudes, he said. He also said that the military should modernize the country’s nuclear deterrents. “Strategic nuclear forces have key significance for defense and security,” he said on Tuesday. During his state of the nation address before the Federal Assembly on March 1, Putin said that NATO defenses were “useless and senseless”. “Russia has created and is upgrading relatively cheap but very efficient systems to overcome missile shields,” Putin said at the time. The new weapons include a nuclear-powered cruise missile, supersonic weapons capable of breaching NATO defenses and rockets capable of flying below radar which he said were invincible against current anti-missile defense systems deployed by the West.